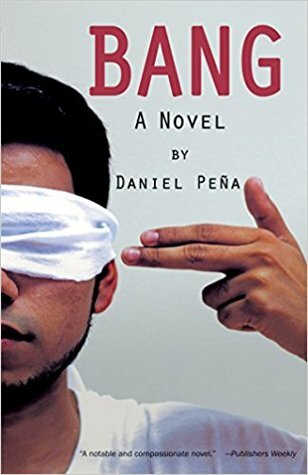 “Bang” is the story of a Mexican-American family with ties on both sides of the border. Araceli, the matriarch, lives with her two sons near a fruit grove in Harlingen, Texas. She sits and waits daily for her husband, who’s long since been deported back to Mexico. She lives with sorrow in her husband’s absence, as well as frequent nosebleeds and blackouts from the constant exposure to pesticides. Cuauhtemoc, the more troublesome elder son, flies crop duster planes for the fruit farm while her younger son, Uli, struggles to complete high school. After a late night flight with Uli, Cuauhtemoc crashes one of the farm’s planes onto the Mexican side of the border. Both brothers are injured but manage to survive, and eventually become separated and trapped in Mexico. A new chain of disastrous events are then set into motion when Araceli, who hears of the crash, crosses the border to look for her sons. Cuauhtemoc is forced to fly drug deliveries for a violent local cartel, while Uli searches for his father but ends up getting caught up in a local dogfighting ring and boosting copper for cash. This novel is presented in alternating narratives among the main three characters. This slows down the pace considerably, so there is an extraordinary focus on the human suffering taking place on both sides of the border, as well as the violent drug war taking place there. It’s an uncomfortable story, but one that definitely needs to be told.